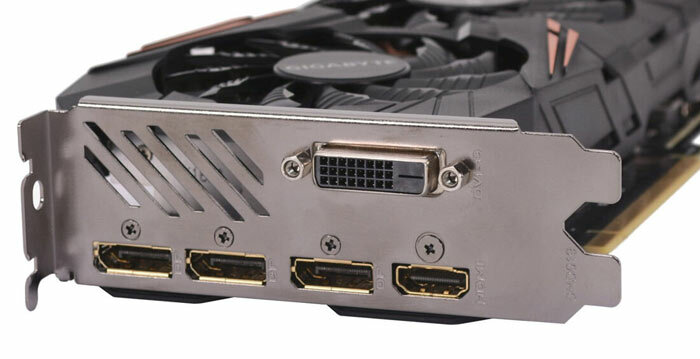 Nvidia has issued a firmware update that is intended to iron out some wrinkles in DisplayPort 1.3 / 1.4 monitor connectivity and enable the latest features over the same interface. Particular issues users have been facing with DisplayPort monitors are blank screens, or even system hangs, on boot. The update also readies GeForce owners for HDR colour on the new G-Sync HDR gaming monitors, like this one. 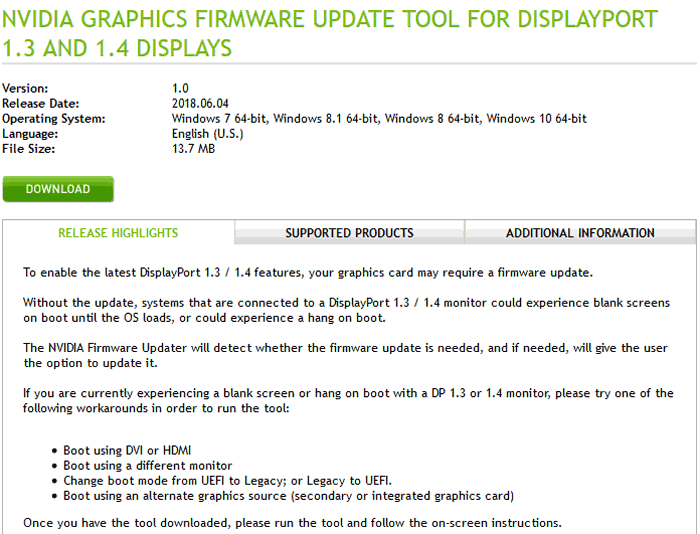 Issues experienced by Nvidia GeForce users connected up via DisplayPort 1.3 / 1.4 monitors could not be fixed by software updates, so that is why this firmware patch has been released. With such configurations some users were complaining about starting up their computer and the screen being totally blank until Windows started to load, or the PC simply hanging on boot, requiring a reset. (The issue reminds me of my Nvidia graphics card not waking up after sleep). If your system is suffering from hanging at boot, to run this tool from Nvidia you can usually connect to your monitor using DVI or HDMI temporarily. As discussed on the TenForums, this tool doesn't update the graphics card Vbios or Mbios, just the firmware for the UEFI GOP. It will re-apply your current video bios during the firmware check. In tools such as GPU-Z you will not see evidence of the change. Please be careful doing this update, as like any other firmware update it is important that your system doesn't power down during the process. Supported products are GeForce 700 Series cards and newer, Maxwell Titan and newer, and Quadro cards based on similar generational architectures. The full list is available on the supported products tab of the release notes, as is a 32-bit version of the tool.